Nilkitkwa Lake Park consists of two parcels of land about 3km apart, each within a bay of protected anchorage and gentle beaches. Water flows north through Nilkitkwa Lake, from Babine Lake and on to the Babine River. The system of parks from Babine River through to Babine Lake provides fishing and boating recreational activities, with a range of rustic and developed campsites. Nilkitkwa Lake Park lies approximately 100km north of Smithers. The park is accessed by following Babine Lake Road for 50km, then following the Nilkitkwa Forest Service Road for 41km, then taking the turn-off to Fort Babine. Access is then by boat via a boat launch at Fort Babine Lodge. History: The two bays in Nilkitkwa Lake Park are long-standing park reserves for the use, recreation and enjoyment of the Public. In 1996, the Bulkley Land and Resource Management Plan recommended the sites be protected as part of the Babine Lake and Nilkitkwa Lake recreational boating system. 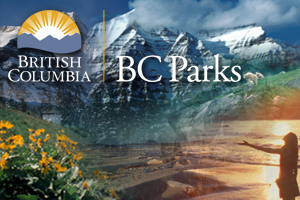 The Provincial Government designated the sites as a class A provincial park in 1999. Cultural Heritage: Nilkitkwa Lake Park lies within the asserted traditional territory of the Ned’u’ten (Lake Babine Nation) people. Residents of the nearby Wud’at community continue to the use area for food fishery and trapping. There are smokehouses at each of the bays which are used to prepare the fish caught in the area. Conservation: Nilkitkwa Lake Park is within the Babine Uplands Ecosection and protects an under-represented variant of the Sub-boreal Spruce biogeoclimatic zone. Wildlife: Fish populations in the lake include rainbow trout and migrating salmonids such as sockeye and steelhead.